Flowers give an impression of culture and refinement. 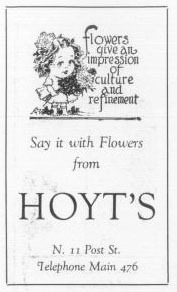 Say it with flowers from Hoyt's. Telephone Main 476.